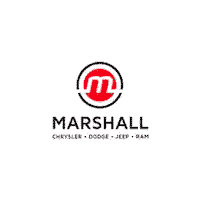 Marshall Chrysler Dodge Jeep Ram! The Marshall Chrysler Dodge Jeep Ram finance team is ready to work for you! Our financial experts are excited to help you find a car loan or lease option that best suits your budget, and we work with a network of financial institutions to get you a great rate on a car loan or lease. From beginning to end, our experts will be able to provide you with a great low rate on your new or used car loan in the Florence, KY, area. Thanks for Stopping By Marshall Chrysler Dodge Jeep Ram! Thank you for your interest in Marshall Chrysler Dodge Jeep Ram! Here you will find a copious amount of new Chrysler, Dodge, Jeep and Ram models, pre-owned vehicles, financing, service, repairs and genuine OEM parts. If competitive prices, great value and superior customer satisfaction are what you’re looking for, Marshall Chrysler Dodge Jeep Ram is the dealership for you! If you are in need of service on your current vehicle, our team of skilled technicians is standing by to assist you with all of your automotive needs in our service department! We service all makes and models of cars, trucks and vans. You can easily schedule your next service appointment online with just the click of a button. Search for specific parts and browse our parts specials and accessories specials for everything automotive.